Rock'n'Roll Extreme There are 3 products. 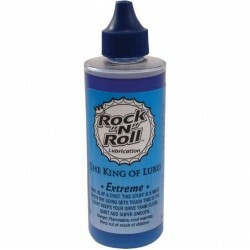 Rock'n'Roll EXTREME CHAIN LUBE A very clean chain lube that works, lasts and never lets you down. When the going gets tough, this is the stuff. Extreme CHAIN LUBE - set with 120ml Gold bottle This chain lube moved the 21st century closer to the 22nd century. Drive-trains look like they just came out of the box. 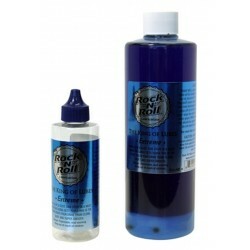 The well known smoothness and quietness that Rock "N" Roll Lubes are known all over the world for, just went to a new level. Rock'n'Roll Extreme CHAIN LUBE This chain lube moved the 21st century closer to the 22nd century. Drive-trains look like they just came out of the box. 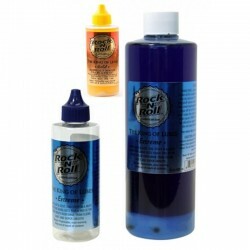 The well known smoothness and quietness that Rock'n'Roll Lubes are known all over the world for, just went to a new level.